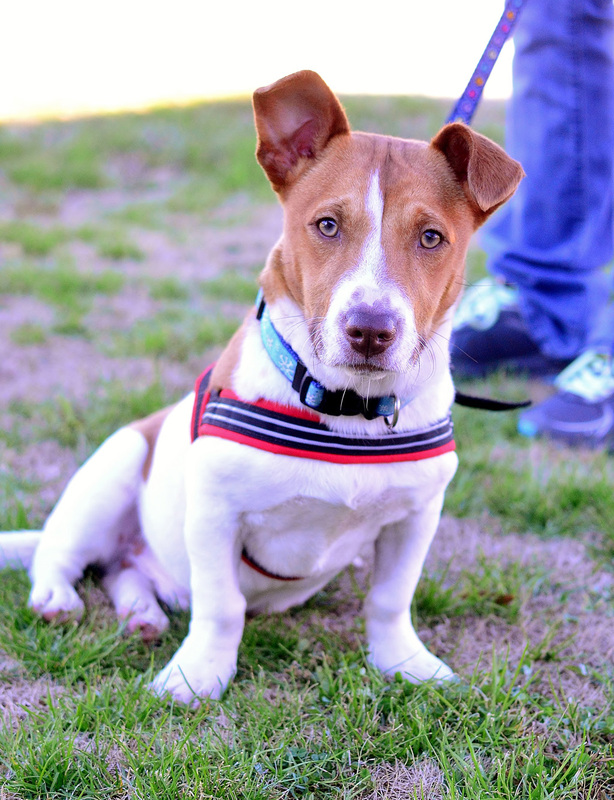 This 6-month-old Jack-A-Bee (Jack Russell/Beagle mix) is affectionate, alert, independent, intelligent, lively, loving, loyal, and outgoing. ? ? ?BJ and toys make the cutest couple?. Watching him, with his short legs, attempt to roll and tumble with a stuff animal that’s bigger than he is will provide more fun and entertainment than any TV show or movie. This stout fella will grow to be a medium-sized guy who is sure to keep everyone on their toes with his natural gift of playfulness. To keep ?BJ? healthy? and happy?, ?regular exercise and trips to the dog park are in order. ?Jack-A-Bees are very social and love to be around people and other dogs.? Want more activity and laughter in your life? Visit BJ and let him be your new family friend.? ?Have you ever had a blue cat? This 6-month-old, blue kitty is named Jasmine, after the fragrant Persian flower, and she loves to perch up high and look around at all that’s going on. 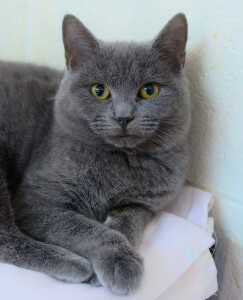 Reserved and a bit shy, she is every bit a princess, like the royal character of Disney’s “Aladdin.” Comfort, calm, and quiet are what she desires most from the home she will live in. This “aristocatic” beauty is definitely one-of-a-kind and what an honor it will for the person whom she befriends.